Joining us for the first time this year at the Canandaigua Art and Music Festival, we talked with Francesca DeCaire about her glass beads. 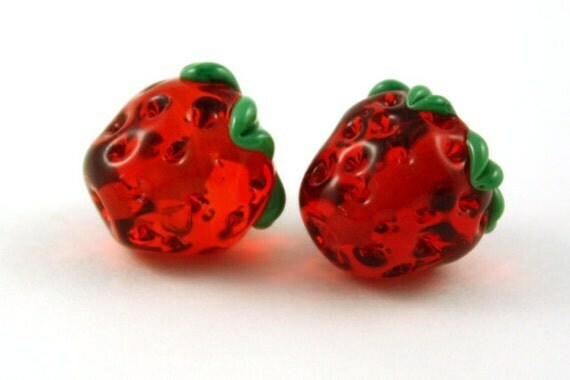 Francesca’s lampwork glass creations have a uniquely bold and playful style. 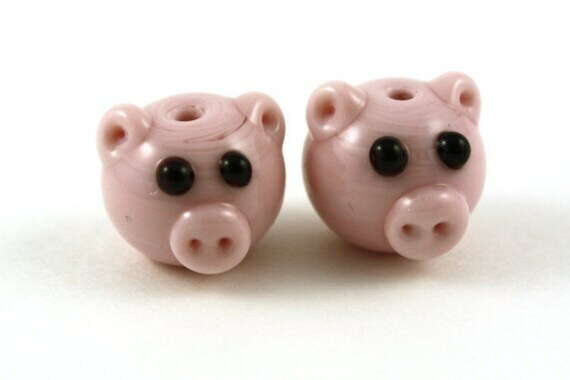 Not every bead artist tackles such whimsical subjects as she does: pigs, owls, cupcakes, and more fill her collection. 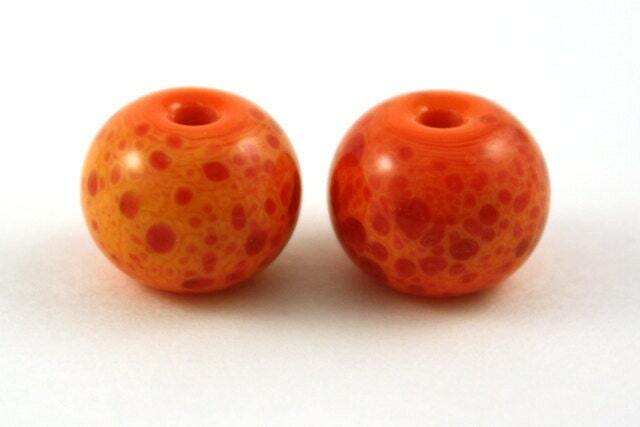 She also makes more traditional beads, but these too exude vibrant and eye-catching colors. Francesca has been making beads for 7 years, but has only started selling them recently. She found that her passion had left her with quite the stockpile of beads, and that selling them only made sense. I knew it was time to think about selling my work. I couldn’t keep my creations under the bed any longer. Obsessed with trying to make each bead better than the next, I’ve ended up with thousands. I learned to lampwork in 2005, making small vessels with borosilicate glass tubing and a National torch. Currently soft glass beads are my passion. I work mostly with Effetre glass. I now use a GTT Lynx Torch and have been making beads seasonally since 2008. She describes her work as “minimalistic” when it comes to using components she doesn’t create herself. The playful and sophisticated beads and pendants certainly stand alone. It comes as no surprise that Francesca receives glowing reviews from festival goers. 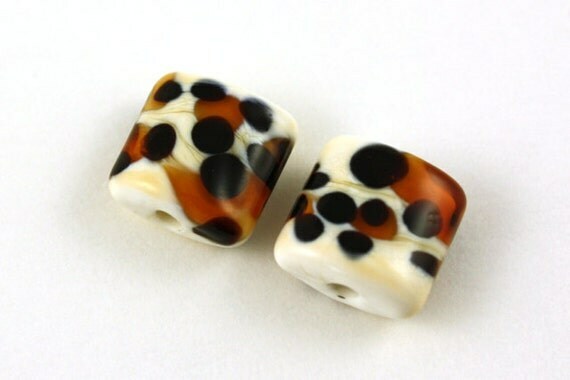 She says that customer favorites are usually her owl and cupcake beads, but she also makes marbles, glass rings, cabochon pendants, wine stoppers, and wine charms. Francesca draws her greatest inspiration from her family. Her son Lucas and his father Jason are the backbone of her project. I want to make these guys proud someday. Aside from the Canandaigua Art and Music Festival from July 13 to 15, you can read more about Francesca and view her work on her website and Etsy page. The vast array of styles she showcases will certainly attract a large crowd at her booth, and we look forward to seeing her there. Canandaigua Art & Music Festival in Historic Downtown will be held Friday, July 13, from 12pm-7pm, and Saturday, July 14 and Sunday, July 15 from 10am-5pm. The 2012 festival has new food, new artists and a new way to keep cool. Big Bear BBQ will bring pulled pork and other barbecue fare, India House adds Indian cuisine to the mix, Fat Cats Brooklyn Delicatessen will be there with Italian ices and new Canandaigua pizzeria Perri’s Pizza will be in the food section. There are new artists in almost every category, including a new Emerging Artists category for students. Kids will be excited to see the Roo Crew with the Wildlife Defenders who have a young kangaroo named Sheldon. The biggest additions to this year’s festival are misters from Isaac Heating & Air Conditioning, keeping festival-goers cool. Along with great musical performances, this year’s Canandaigua Art and Music Festival will feature a wide variety of art. Vendors will be set up along Main Street displaying their wares that will include artwork such as ceramics, pottery, jewelry, woodworking, leather, fiber, painting, photography, and gourmet foods. New this year is an emerging artists category; an opportunity for student artists to display and sell their handiwork. Musical acts will play at the main Commons Park Stage all three days of the festival. Commons Park Stage is located on the corner of Coach and Main. Performances range from Bluegrass to Rock & Roll and feature incredible talent from the Upstate New York region. Full schedule is listed below. The Canandaigua Art & Music Festival features affordable family fun for all ages. The Kids Korridor, located in the parking lot next to Byrne Dairy, offers hands-on activities for kids and live entertainment on the family stage. Highlights include Gadgets the Clown and Kindermusik. The Wildlife Defenders will join the action with their Roo Crew – a team that travels with a young kangaroo named Sheldon. A complete schedule is listed below. With the festival’s wide variety of food vendors, you’ll be sure to find all of your festival favorites including fried dough, kettle corn, BBQ, fresh-squeezed lemonade, fruit smoothies, and fried Oreos. Joining the festival this year are: Perri’s Pizza, India House, Red Osier, Fat Cats Brooklyn Delicatessen and Big Bear BBQ. The Canandaigua Art & Music Festival would not be possible without support from its sponsors. Sponsor revenue helps pay for free entertainment, kids korridor attractions and other festival related expenses. 2012 sponsors include: BFS Direct, Comfort Windows & Doors, Finger Lakes Casino & Racetrack, Premier Sunroom Solutions, Softub Express, Isaac Heating & Air Conditioning, Halco Heating, Bath Fitter, Canandaigua Magazine, Wegmans, and WCGR 104.5. There are several free municipal parking lots located throughout the City of Canandaigua. Lots can be found on West Avenue, Ontario Street, Mill Street, and Bristol Street. The Canandaigua Art & Music Festival blog highlights acts and artists in the weeks leading up to the festival. The blog, found at www.canandaiguaartandmusicfestival.wordpress.com, looks behind the scenes at where artists, crafters, bands and even some of the food vendors got their start and what drives them to do what they do. This week we spoke with Mary Ellen Hayden of The Fools to find out a bit more of what we can expect to hear at this year’s Canandaigua Art & Music Festival. The band has a unique style that they describe as a mixture of R&B, rock, soul, and blues. Mary Ellen says each member of the band is incredibly talented and easy to work with. “Together, we really do produce a unique spin on music. At the moment, you can find their music only on their website, but the Fools are working on recording their first album. Aside from singing for the Fools, Mary Ellen keeps herself incredibly busy with countless musical projects. She recently recorded backing vocals for Greg Lake of Emerson, Lake and Palmer for his recent tour. My voice went to all these exciting places…without me! She starred as Janis Joplin in the touring production of “Love, Janis” and was a Pink Floydette in the “Dark Side of the Moon” show. Her impressive musical resume continues to grow and evolve her individual style all the time. She recently recorded with Russell Thompkins, Jr. of Stylistics and Jay Proctor of Jay and The Techniques. Those sessions are always fun because I get to do lots of harmonies AND sing with legendary artists. On top of all the musical accomplishments Mary Ellen has accrued, she also has extensive experience in voicing for the advertising industry. Her voice has been featured in hundreds of television and radio ads internationally. Come down to the festival on July 14, 2012 from 3:30-5:00pm to catch their act. We’re gonna shake up Main Street, Canandaigua, that’s what we’re gonna do and there’s is no place like the “Chosen Spot” to do it! We sat down with Dan Eaton of the Dan Eaton Band to talk a bit about his music and his interesting life outside the band, as well as his upcoming first appearance at the Canandaigua Arts & Music Festival. Dan tells us that he did not start playing guitar until the age of 18, but that his love of creating music reaches back several years further. In his early teens, he spun original melodies in his head and wrote his own lyrics, just one example of the creativity he exhibits in his music today. Though he played a lot of coffee house gigs in college, Dan soon followed his culinary passion and became a professional chef. His new career left him much less time to play with his band, and most of his public events were put on hold. Dan now hosts Cooking at Home, a segment on YNN, (check out the page here) and is able to make music with his band and play live events like our festival (lucky for us). The Dan Eaton band has a very diverse set of inspirations, as Dan himself appreciates a very wide variety of musical genres and styles. Dan says festival attendees can expect “great sounding original music that relates to people’s lives.” The Dan Eaton band is also in the process of recording their very first full-length CD with Phil Geiger at Spirit East Studios. To hear some of the band’s music, visit their Facebook page and head down to the festival stage on Friday July 13 between 3:45 and 5:00pm. India House join the Canandaigua Art and Music Festival for the first time this summer, bringing a new style to the food offered this year. The restaurant has two popular locations at 998 S.Clinton Ave in Rochester and 7343 Route 96 in Victor, as well as a grocery and imports store at 999 S.Clinton Ave. We talked with owner Amit Sud about the restaurant’s history, specialties, and plans for the upcoming festival. The restaurant was established by Amit’s family in 1984. His family started the business in the Park Avenue area of Rochester with the hopes of bringing new food and a stronger presence of Indian culture to the city. 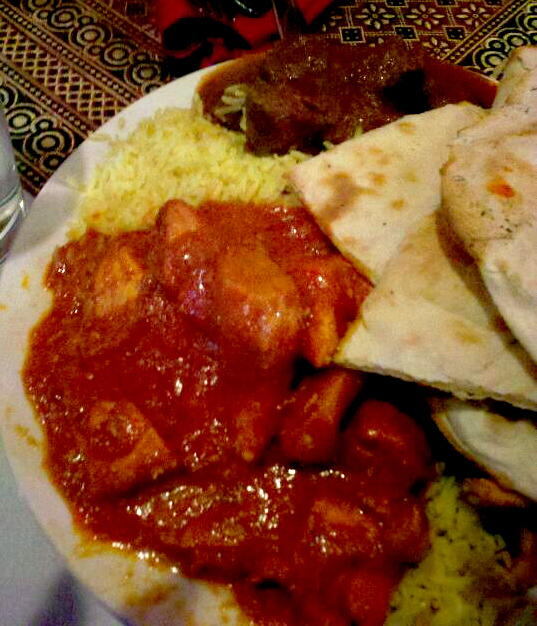 The India House restaurants specialize in traditional Indian dishes focusing around chicken, lamb, vegetarian, sea food, beef meals, and freshly baked bread from their clay ovens. 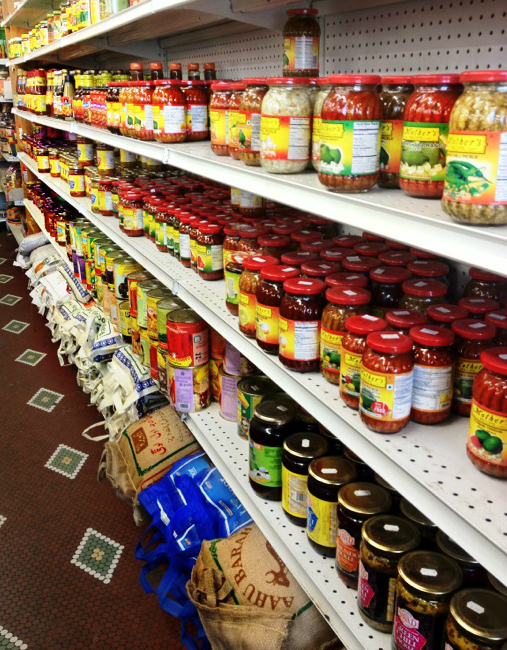 Between the restaurant’s two locations and their imports store, the Sud family offers spices, gifts, canned goods, ready-to-eat foods, beverages, health and beauty supplies, natural herbs and medicines and more. With this extensive list, the Sud family has certainly accomplished their goal of sharing Indian culture in our area. Stop by India House’s booth in the food vendor area near the Commons Stage on Main Street at the Canandaigua Art and Music Festival between July 13 and 15. Amit says that festival goers can expect a large array of fine Indian cuisine, and that the food is “not spicy as a lot of people think!” He explains that overall, Indian food is very flavorful, and can be prepared without a lot of heat, depending on preference. You can visit India house at either restaurant: 998 S.Clinton Ave in Rochester or 7343 Route 96 Victor, or stop by their grocery store at 999 S.Clinton Ave. View their menu on their website for an idea of their cuisine and what to expect from their booth at the festival.